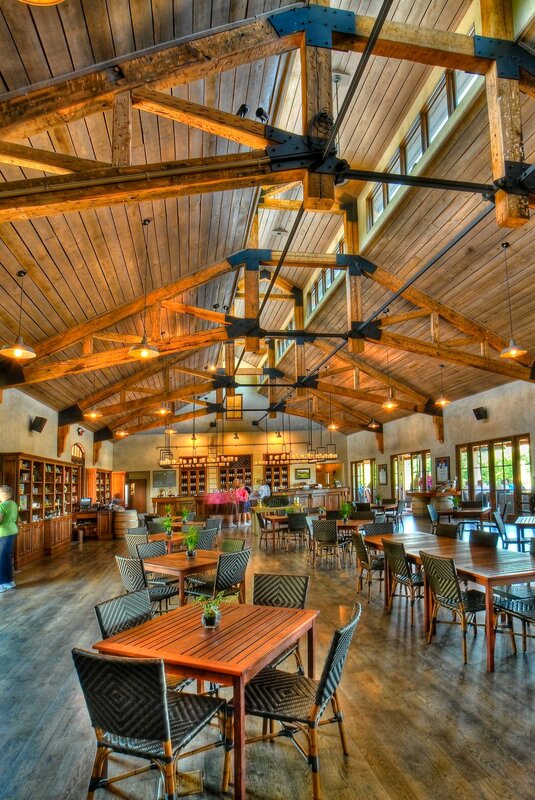 The new winery features a French chateau-style tasting room and restaurant with expansive vaulted ceilings and a grand fireplace. 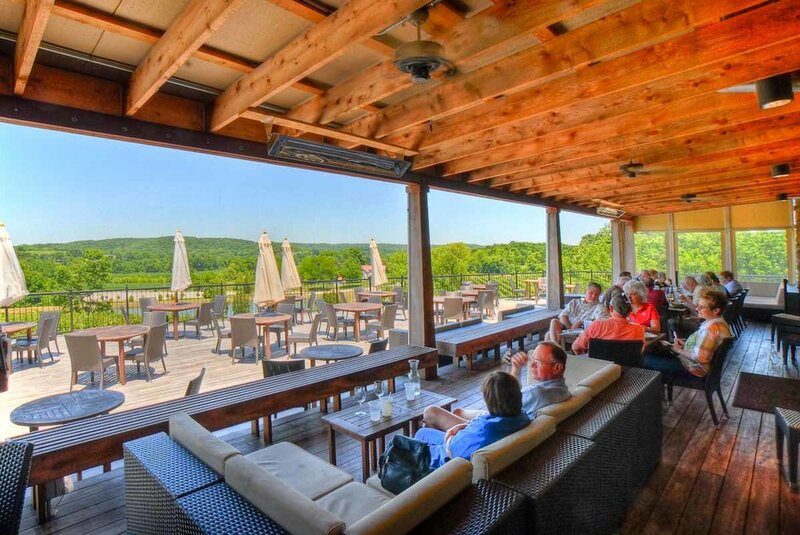 An extensive outdoor patio and pavilion were designed to take advantage of views of the Missouri River Valley. Natural light flows throughout the space while recycled timbers make up the spectacular ceiling trusses. Bond Architects also participated in conceptual presentations with the developer to secure investor funding.